"A treat to eat in summer's heat" Buttercup Ice Cream. 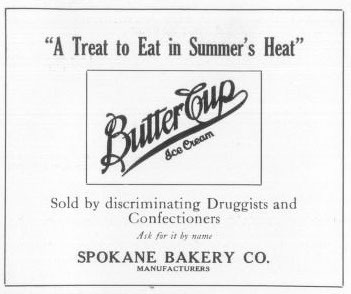 Sold by discriminating druggists and confectioners. Ask for it by name. Buttercup Ice Cream. Science and actual experience have proven ice cream to be a necessary and very nourishing food. Ask for it by name.